What does Our Lady say on the abortion issue? What do you feel? Do women confide in you about this issue? Mirjana: I wouldn’t like to judge anyone; never. Why a woman had an abortion and what life experience she was going through at that time, only she knows. Generally, I don’t like judgments. I don’t like judging anyone, because I don’t know what goes through the mind of a person and why he has done something. When I was in Sarajevo and went to the high school that I talked to you about, which gathered all those who had been expelled from other schools, many girls had an abortion very easily. Then they came to school in the afternoon and spoke, and were at the concert which was held in the evening. To me it was unthinkable! I was very sad about that situation. I cannot say that I was totally shocked, but to a certain extent I was, because I couldn’t understand that a woman could kill an innocent child within herself, speak calmly and then go a concert in the evening. Once I plucked up my courage and, during an apparition, I asked Our Lady why these children could not go to Heaven; why they had to suffer and be killed if they were innocent. They hadn’t chosen it. I said all sorts of things. Then Our Lady said to me maternally and seriously: “No, these children are with me. There is no limbo. They are with me. 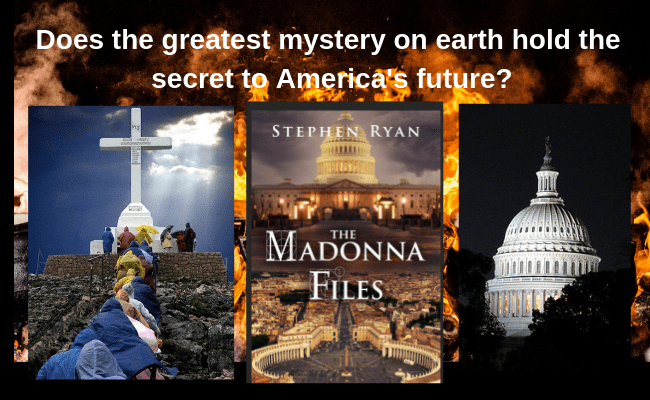 Their parents will have to account for their sin of abortion.” That’s what Our Lady told me. 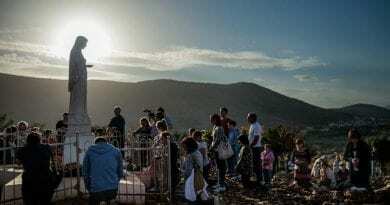 Here in Medjugorje, I had the opportunity to meet women who had an abortion and the majority of them – I’d say 95 percent of them – repented. They regretted what they did. It is a sincere regret which really comes from their heart. These women are broken. I always recommend that they be honest in their confession, go to a priest, kneel down before God and express their regret. I think that afterwards they all feel better or at least that is what they have told me. Certain women say it’s their body, so they have a right to decide whatever they want about it. 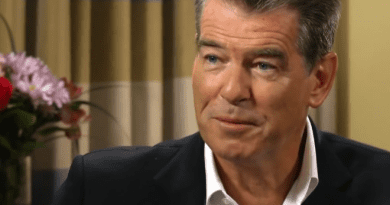 Mirjana: I don’t agree with that. Of course I wouldn’t say I’m right. This is just how I see, but I disagree. If another life grows in my body, I can not say that that’s my body and that I have a right to decide whatever I want about it. It’s someone else’s life. God created a new man or a new woman. You cannot decide that the child will not live. God created it in your body, but not for you to represent God and decide whether it will live or not. Do you think God forgives such a sin? feel, I don’t think that a priest will turn his back on you. I don’t think so. 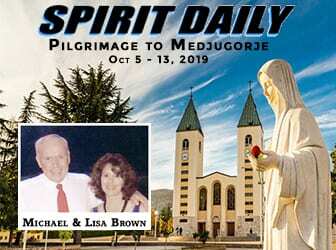 Was Little Known Medjugorje Prophecy Fulfilled Over the Weekend? IS Russia Prophecy Next? 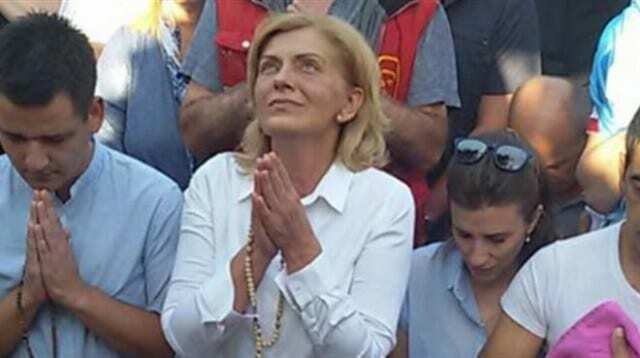 March 12, 2018 ryanmysticpost Comments Off on Was Little Known Medjugorje Prophecy Fulfilled Over the Weekend? 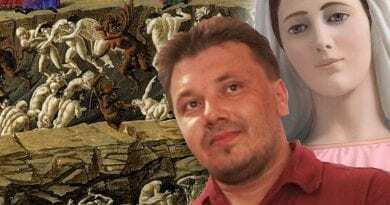 IS Russia Prophecy Next? Love the lord your God with all your heart, with all your mind and with all your strength. And serve him only. The second is to love your neighbor as yourself. These are the greatest of the commandments. So a greater sin than abortion would be to not love God. Right? So if I did not love God and then I repented and put all of my love into God then I could be forgiven. Right? Thus if I could be forgiven for not loving God then could I also be forgiven for choosing to have an abortion if it is a lesser sin? And if I say that I can do whatever I want with my body am I not choosing to serve myself instead of serving The Lord and putting this decision before him? Finally, it is not our place to judge. We are to love our neighbors as ourselves. Right? For aren’t we all capable of committing the same sins? Therefore, shouldn’t we instead of judging, pray to the lord for each other? Tuesday 6th March 2018…Today’s Holy Gospel of Jesus Christ according to Saint Matthew 18:21-35. March 6, 2018 ryanmysticpost Comments Off on Tuesday 6th March 2018…Today’s Holy Gospel of Jesus Christ according to Saint Matthew 18:21-35. Fulfillment of Catholic Prophecy Developing. The drive to destroy Kavanaugh is progressive totalitarianism. 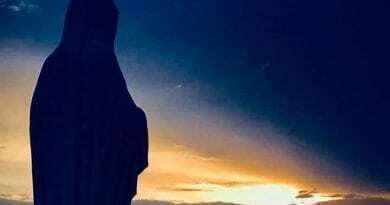 September 20, 2018 ryanmysticpost Comments Off on Fulfillment of Catholic Prophecy Developing. The drive to destroy Kavanaugh is progressive totalitarianism. Monday 15th January 2018… Today’s Holy Gospel of Jesus Christ according to Saint Mark 2:18-22. January 15, 2018 ryanmysticpost Comments Off on Monday 15th January 2018… Today’s Holy Gospel of Jesus Christ according to Saint Mark 2:18-22. The Antichrist, the Signs of Our Times, and the Apocalypse. Powerful and Prophetic Sermon By Ven. Fulton Sheen..Is he describing our times today? November 16, 2018 ryanmysticpost Comments Off on The Antichrist, the Signs of Our Times, and the Apocalypse. Powerful and Prophetic Sermon By Ven. Fulton Sheen..Is he describing our times today?